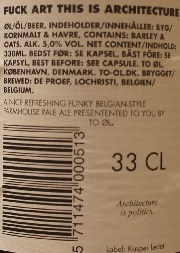 Brewer Description: (from bottle) A nice refreshing funky Belgian-style Farmhouse Pale Ale presented to you by To Øl. 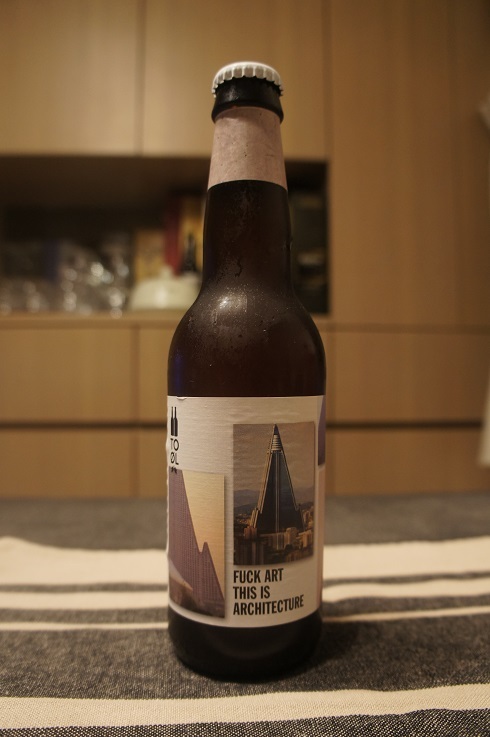 Intro: A 330ml bottle with a best before date of 5th May 2020. Poured into a Holy Mountain tulip glass. Appearance: A hazy dark amber, reddish brown colour with a big three finger frothy light tanned head that had good retention and left lots of lacing. Aroma: Funky, brett, lemon, apple and grass. Taste: Malt sweetness, grass, yeasty brett, light sour, peppery, white grape, prunes and apple with a touch of caramel. 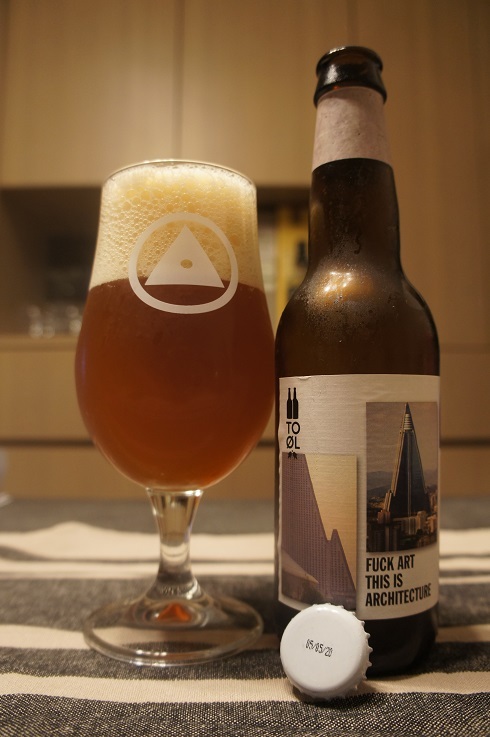 Overall: This was ok, although leaning towards having a bit too much brett flavours for my liking.